There are crimes of passion, those of rage and of love. And then, there are crimes of boredom. Arson, animal abuse, and murder have all been committed in the name of boredom. “It is very curious,” the nineteenth century Danish philosopher Søren Kierkegaard once noted, “that boredom, which itself has such a calm and sedate nature, can have such a capacity to initiate motion.” Kierkegaard’s observation was remarkably prescient. In a much-discussed series of studies, University of Virginia psychology professor Timothy D. Wilson and colleagues touched upon boredom’s power to initiate motion indirectly when they set out to investigate whether or not distraction-free and deliberative thinking is enjoyable. In six of their studies, they gathered a total of four hundred and nine college students and instructed them to entertain themselves only with their thoughts for six to fifteen minutes in a “sparsely-furnished room in a psychology building.” Once the thinking period was over, participants were asked to rate their levels of enjoyment, entertainment, and boredom. On average, participants found thinking somewhat enjoyable, somewhat entertaining, and somewhat boring. Participants didn’t love their thinking period. But they didn’t hate it either. Although widely publicized, the conclusion of Wilson et al.’s shock study has been contested (see here but also here). Whatever one makes of Wilson et al.’s findings, it is instructive to consider what the subjects themselves said about the shocks. Four subjects cited boredom as the reason for shocking themselves, one of whom had this to say: “I chose to willingly shock myself because I was so bored during the thinking period that I chose to experience the mild unpleasant shock over the oppressive boredom.” Perhaps what Wilson et al.’s shock study demonstrated isn’t the aversive character of thinking but the motivational power of boredom. But would one really shock oneself just to escape boredom? Two recent studies suggest so. In the first one, Remco C. Havermans and his colleagues at the University of Maastricht tested whether the induction of boredom was capable of motivating participants to seek a change in stimulation. They found that individuals in a monotonous, boring condition ate more chocolate (M&Ms) and shocked themselves both more often and with higher intensity than individuals in a neutral condition. Havermans and colleagues concluded that boredom is such an aversive experience that some individuals would choose to subject themselves to negative stimuli in order to make it go away. Is there something unique about boredom that motivates one to seek ways (even unpleasant ones) to escape from it, or is this a feature that boredom shares with other negative emotions? In a 2016 study, Chantal Nederkoorn and colleagues (one of whom was Havermans) set out to answer this question. Sixty-nine participants were randomly divided into three conditions: a boredom condition, a sadness condition, and a neutral condition. In each condition, participants viewed a 60-minute segment of a film that was supposed to induce, respectively, boredom, sadness, and no specific mood. While watching the film, participants had the option to self-administer electric shocks. What the researchers observed was that compared to the neutral and sadness condition, the onset of boredom gave rise to an increase in the total number of self-administered electric shocks. Their study not only confirmed Havermans et al.’s previous findings but also showed that the reason why individuals chose to self-administer shocks is not to avoid emotional experiences in general but rather to escape boredom specifically. 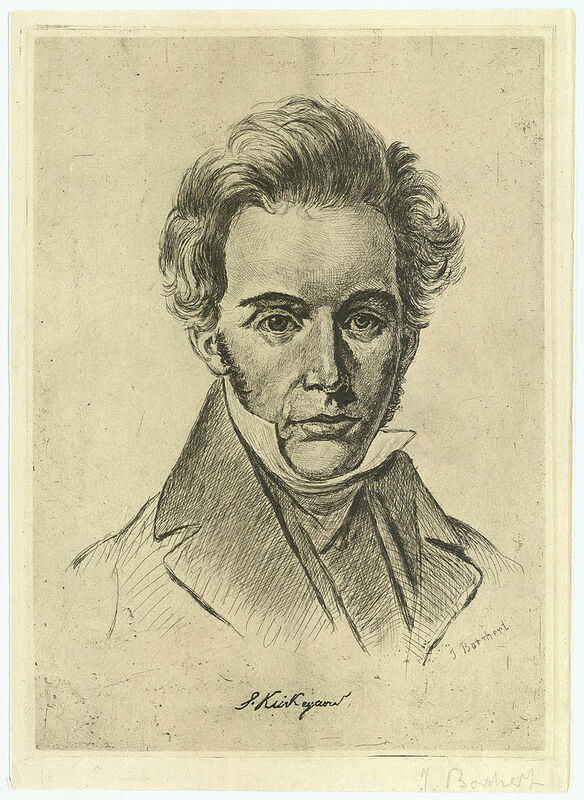 Drawing of Søren Kierkegaard based on an 1840 drawing by N.C. Kierkegaard. J. Borchert, The Royal Library, Denmark, Public Domain via Wikimedia Commons. What do such findings show? At first sight, they seem to demonstrate boredom’s toxic nature. After all, they are consistent with previous studies that reported a relationship between boredom and a tendency to engage in risk-taking activities. But such a grim picture of boredom is both partial and inaccurate. Boredom is neither essentially nor irredeemably problematic. It is a powerful affective state that can at once disengage us from uninteresting or meaningless situations and move us away from them but not necessarily toward negative, self-destructive actions, as the studies would have us believe. Boredom informs us of the fact that what we are currently doing is not what we want to be doing and propels us to do something else. What that something else is, however, is never spelt out by boredom. Boredom carries us only part of the way. For the rest, we are on our own. In the presence of boredom, we are called to cope with its silent force. As such, boredom needs direction. Its motivational capacity could be put to use only if we know both how to read its presence and how to respond to it. Listening to what boredom tells us when it arises and being able to use its motivational power can help not only to reduce the duration of our a boring experience but also to increase the chances of later finding ourselves in situations that are in line with our interests. Boredom occupies an important role in our lives. We should neither underestimate it nor ignore it. Its power may shock us. Featured Image credit: Photo by Mihai Surdu, CC0 via Unsplash. Andreas Elpidorou is an Assistant Professor in the Department of Philosophy at the University of Louisville. He specializes in the philosophical study of the mind and has published extensively on the character of emotions and consciousness. He’s currently working on two books: one on consciousness’ place in the world and another on the character and value of boredom. 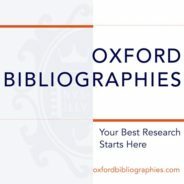 Elpidorou is also the author of the Oxford Bibliographies in Philosophy article “Phenomenal Concepts”. How do you define boredom? To a first approximation, I take boredom to be an aversive (affective) experience that signifies a failure to engage with one’s environment in a desired manner despite one’s desire to do so.